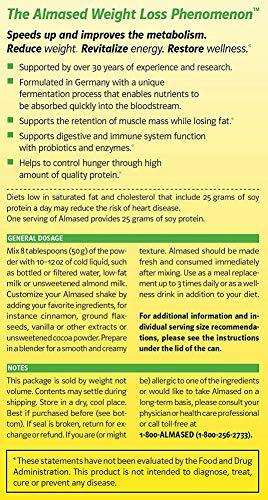 Bottom Line: Almased offers a meal replacement shake that is versatile, but high in soy, which may present problems for some. 2. History of the Brand: How Did Almased Start? 7. How Does Almased Work? 16. Would Almased Work with Your Diet? 17. Verdict: Would I Recommend Almased? 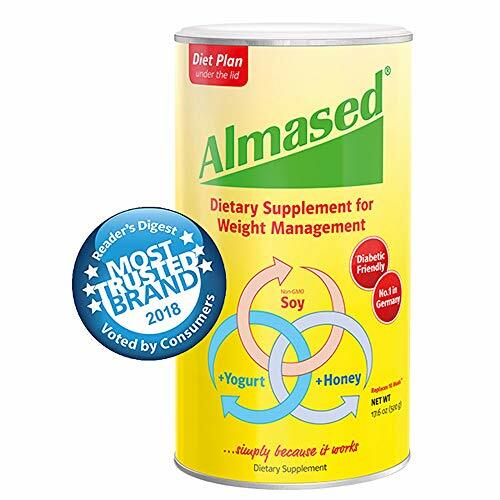 If you’ve ever looked at the weight loss supplement sections in stores like Walgreens, CVS, RiteAid, or Harris Teeter, you may have noticed a yellow can of Almased. You may have also seen it when you visit places like GNC, The Vitamin Shoppe, and your local health food stores. Because it’s so widely available, I decided to give it a try to see what the fuss was all about. Of course, I wanted to see if it works, but I took it one step further and researched the nutritional profile, the science behind the product, and more. I wanted to make sure it was safe and easy to use, so I could know it if it was truly a smart choice. The unique Almased formula supports your metabolism and energy levels, without any stimulants. 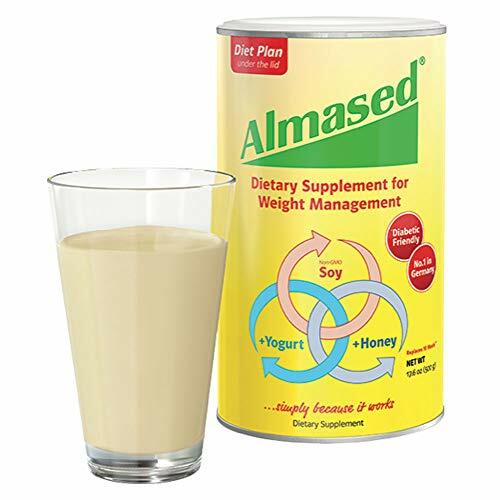 Almased is a dietary supplement for weight management, that can be used as a meal replacement. It is diabetic friendly with a low glycemic index of only 27, to help support healthy blood sugar levels. It contains a range of vitamins and minerals. 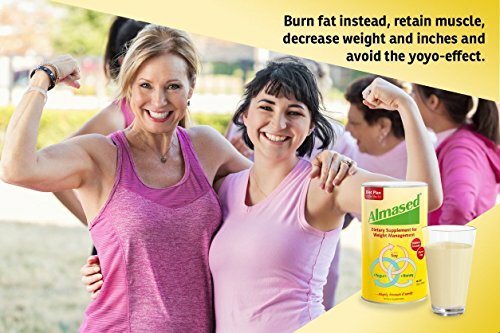 Almased began “almost 30 years ago” in Germany, where it was started by Hubertus Trouillé, who developed the product as a holistic solution to help his patients with improving their metabolism. Today, the company is owned by his son and has expanded not only the product line, but into other markets as well, such as parts of the UK, US, Canada, Austria, and Switzerland. During the Almased Diet, the body takes the energy it needs from fat instead of muscle. 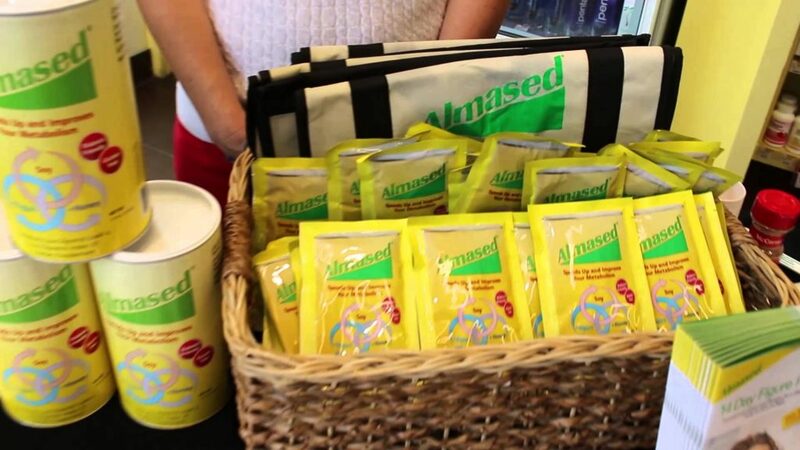 As a meal replacement, you’d expect Almased to provide quality, wholesome ingredients. While they do include vitamins and minerals, there are some ingredients that shocked me. It’s made with soy protein, honey, and skim milk powder. Soy protein contains phytoestrogens, which act like estrogen in the body. This can be harmful to men, as well as women who are pregnant, perimenopausal, menopausal, or post-menopausal. We’re not sure if the color additive is natural or artificial, but it provides no nutritional value and only serves to add a tint of color to the final product. I don’t have a clear answer to this question, except for the Almased that is sold in the United States being manufactured here. 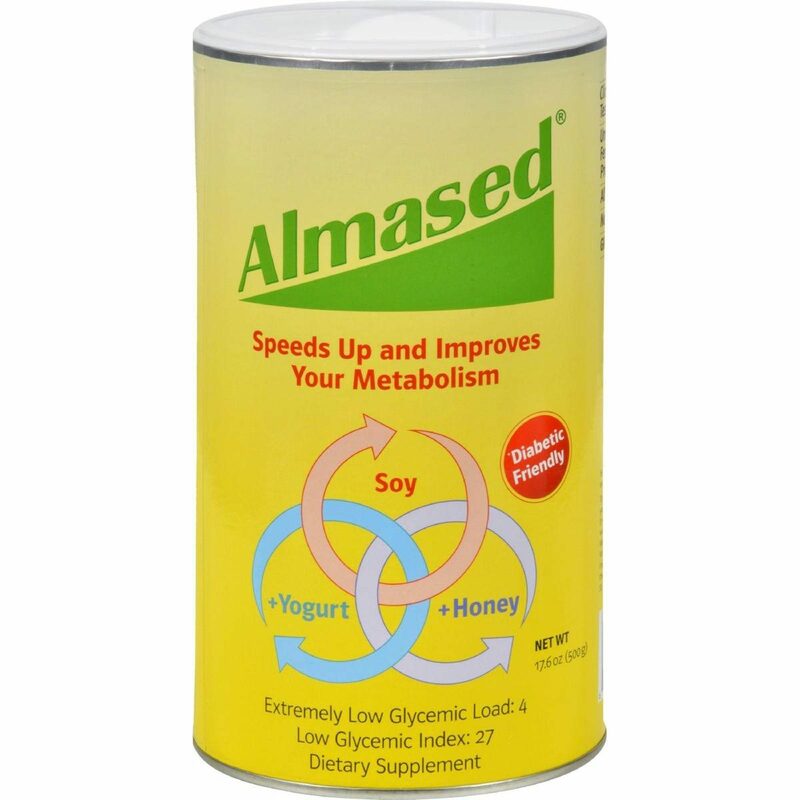 Almased is for anyone who is not pregnant or nursing and has cleared this dietary approach with their doctor. It is even safe for diabetics to use. Starting phase – also known as the fasting phase. During this phase, you have three shakes per day, with either homemade vegetable broth or 100% vegetable juice, as well as 64 ounces of water, preferably mineral rich. Stay on this phase for at least three, but no more than 14 days. Reduction phase – Two shakes per day, and a solid meal per day. The solid meal is suggested to be lunch, but if you must have it for dinner, you should be mindful of carbohydrate consumption. Limit snacks and eat fruit in moderation. You can stay in this phase until you reach your weight loss goal. Stability phase – Two meals per day and one shake – either for breakfast or dinner to see the best results. This allows you to continue losing weight at a slower pace to avoid the yo-yo effect. Stay in this phase for several weeks. Life phase – Three meals per day and one shake, as part of your breakfast or dinner. You’re supposed to sustain your level of activity to keep your metabolism up after you complete the first three phases. They say you will be more motivated to be physically active at this phase. TASTY, HEALTHY RECIPES FOR DIET DRINKS AND SHAKES. Week 1: Replace all three meals with the shake and drink anywhere from 20 to 40 ounces of homemade vegetable broth, along with plenty of water throughout the day. Week 2: Drink a shake in the morning, eat plenty of vegetables with lean protein for lunch, and have another shake for dinner. Yes, it does work because you’re cutting a dramatic amount of calories out of your diet. You are advised to take 6 tablespoons of the powder for each meal if you are under 5’6”, 8 tablespoons for each meal if you are between 5’6” and 6′ and 10 tablespoons with each meal if you are taller than 6′. Blend it with 10 to 12 ounces of water, along with 1 to 2 tsp of olive, walnut, or coconut oil, alternating the oils as you wish. You’re also permitted to flavor them with cinnamon, unsweetened cocoa, instant coffee or cold coffee in place of water, or your favorite baking extracts. Fast for up to two weeks before switching to the long-term plan. This product is geared toward helping you lose fat, rather than muscle. There isn’t any caffeine, and there’s enough nutrition to keep you from feeling hungry, and it’s safe enough to fast with. 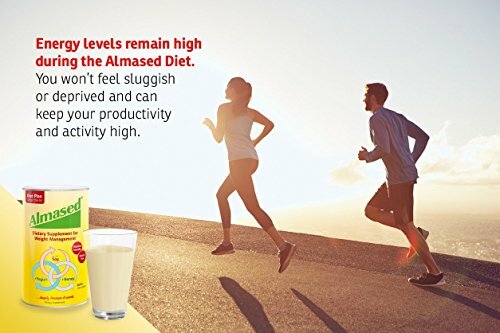 Almased is made from 3 high-quality ingredients, non-GMO soy, yogurt and enzyme rich honey, combined in a unique fermentation process. The product is made to have a neutral taste, so you can mix it and flavor it how you wish. They say you can also enjoy it plain, but I didn’t. It didn’t taste bad necessarily, but it didn’t taste good, either. I had to flavor it multiple ways before I found a method I could stand long enough to continue using it. There are no reported side effects, but using soy for too long can lead to some hormonal disruption issues. If you are pregnant or nursing, do not use this product. This same can be said for anyone who is dealing with any mental health issue, neurological disorders, or related health issues. Another thing to be aware of it is that you cannot prepare it in advance to drink later. You must drink it immediately after you make it because with time it will become hard and thick. There do not appear to be any lawsuits against the company and Almased USA Inc. maintains an A+ rating with the BBB. 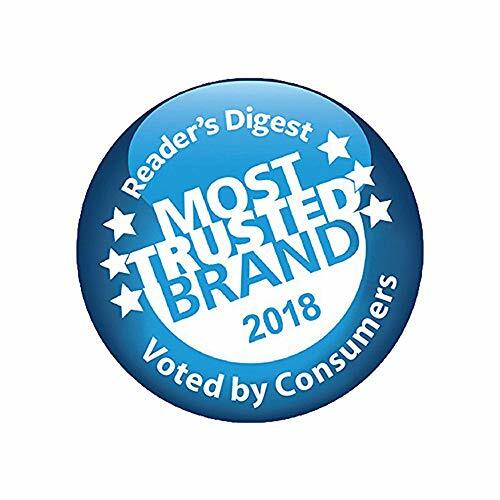 The official website makes it sound like everyone is happy with the product, but third-party websites definitely paint a different picture. The large amount of and longtime use if soy in this product can cause and did cause me to have Pancreatitis. Soy is a protease inhibitor which suppresses some of the key enzymes that help us digest protein. Soybean consumption stresses the pancreas causing the pancreas to work overtime to produce more protease enzymes. With pancreatic stress and cell proliferation, cancer becomes a distinct possibility. Pancreatic cancer currently ranks as the fourth leading cause of cancer deaths of men and women in the United States and is predicted to move into second place by 2020. 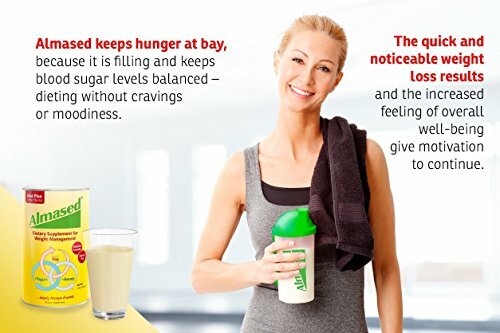 Do love this product (tastes awful, but I mix with 1/2 scoop of another flavored protein shake) – works well with filling me up and keeping that feeling for a while. Expensive for as much as you get – but it works, so I’ll keep paying for it. Well, I’ve gone through 3 containers of this stuff and my conclusion is it’s a waste of money. I suppose if you ONLY consumed Almased, and nothing else all day, well, of course, you’d lose weight! But I don’t want to live that way…forever. Once you return to regular food intake (even being “careful” about calories), the weight will return. It in no way “reset” my metabolism (as it promises) so that I’d burn more calories. I think that the reason it enjoys ANY success is because drinking 3 of these per day only gives you about 540 calories total…that’s like being on an HCG diet! There aren’t any “miracles” out there Folks….just watch your calories & exercise. If you want a liquid meal replacement, there are so many others at any drug, vitamin, or health food store that will give you the same nutrients/calories as Almased…at a fraction of the cost. Depending on the other ingredients you use to make the smoothies, it may violate guidelines associated with other diets. f you’d still like to try their products, there are a couple of promotional codes, like this one for $10 off, out there so you can try for yourself. Plus, if you shop in person at one of the retailers that carry the products, you may be able to take advantage of store coupons, too. Even though I can’t recommend this product, I can’t blame you for wanting to try it. Just make sure you’re being realistic about what you expect to achieve with it, and make sure you know as much as possible about it before you start using it.